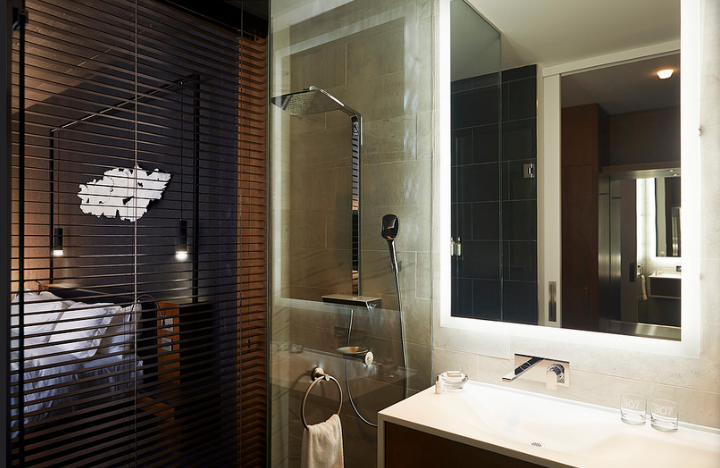 Located in the entertainment district since 2003, Le Germain Hotel Toronto has redesigned 118 guest rooms. Led by LEMAYMICHAUD Architecture and Design, the transformation introduces dark and light tones and a carefully selected combination of textured finishes to provide dramatic yet inviting contrasts. These are all enhanced by a concealed LED lighting system that creates a warm, diffused effect. 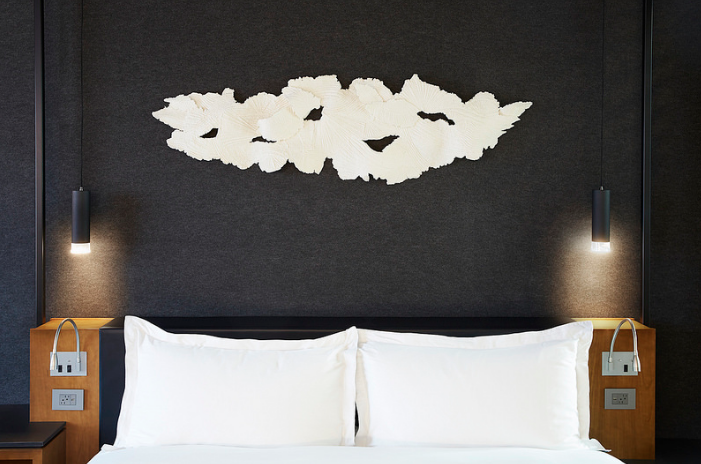 A felt-inspired material made of 95% recycled matter covers the wall behind the headboards, improving acoustics, while Corian® countertops and custom wood cabinetry add a sleek finishing touch. The rooms also contain one-of-a-kind art installations on the walls above each bed. 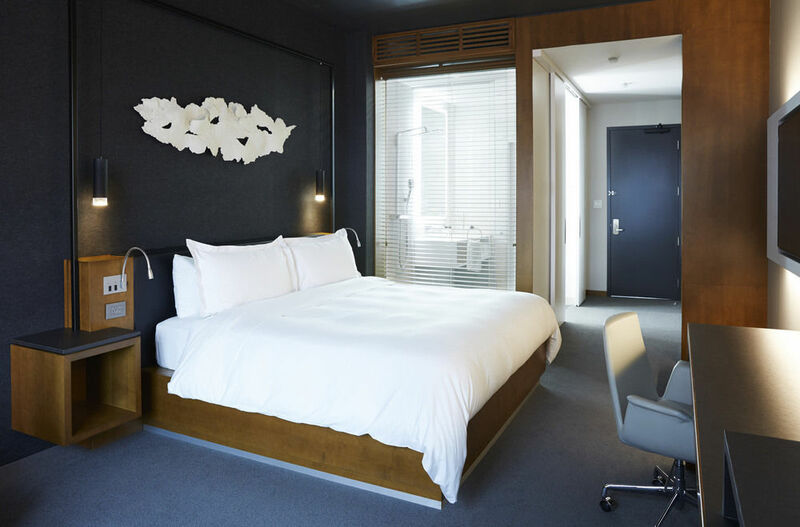 Commissioned by Group Germain Hotels, Canadian artists Ann Bartok and Olena Kassian from BARKAS hand-made the 120 airy, featherweight sculptures, of the series called Cloud 9, which anchor each room and further elevate the contemporary atmosphere. 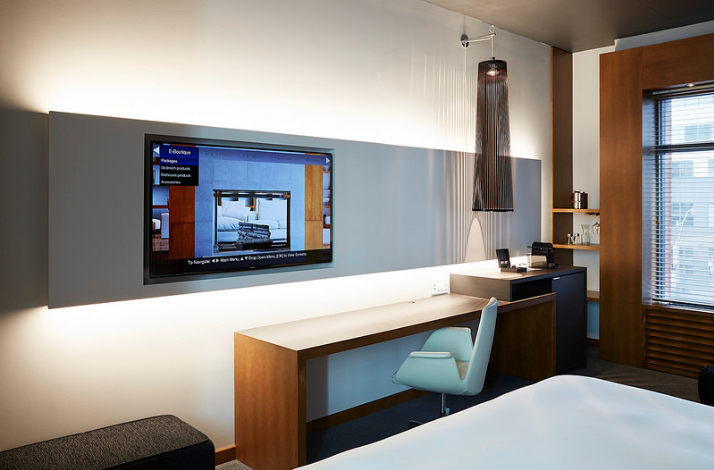 Group Germain Hotels pioneered the boutique hotel concept in Canada with the opening of their first property in Quebec City in 1988, and was one of the earliest boutique-concept hotels to emerge in the city of Toronto.